An incredibly rare 35mm screening of John Carpenter’s cult classic! A run-down Los Angeles police station is seized by a ruthless gang of murderous criminals on the eve of its decommissioning. A rookie officer is left in charge of a few stray employees and an assortment of prisoners who must band together to battle the intruders, lest they be mowed down in the path of their endless destruction. 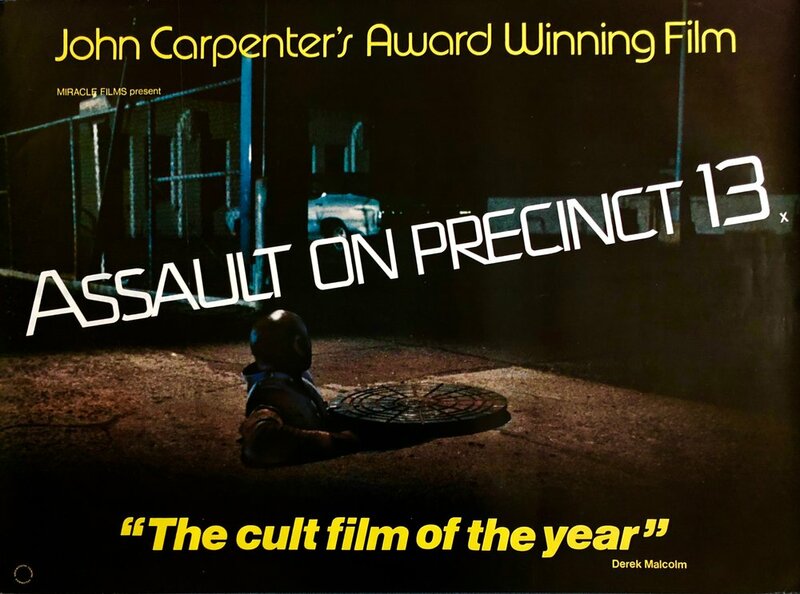 As Carpenter's second directorial effort, "Assault" stands as a prime example of the director's skill at turning nothing into something. Crafting such an intense movie with very little resources was a skill that would pay off big time a few years down the line with the release of his seminal slasher flick, "Halloween." There are other hints at future Carpenter-isms, such as his bleak world view, which would be further exploited in "Escape From New York" and "They Live." In typical Carpenter fashion, very little time is wasted, and when one of cinema's biggest taboos in trampled underfoot within the first 30 minutes, you know you're in for a one-of-a-kind experience. But rather than resorting to pure shock value, Carpenter cuts through the ultra-violence with a dose of good humor and over-the-top action. The last block of film itself plays like George Romero's "Night Of The Living Dead," only with thugs rather than zombies cornering our beloved characters. The low budget nature of the film forced a very successful straightforward, brutal, and realistic approach to the action, especially the violence. Despite the over-the-top mayhem in subsequent action films by other directors, the impact of many of the scenes in this film cannot be topped, and it's often because of the unusual, almost documentary-like feel of the film. “Assault” remains one of the best cult films ever and because this print remains so rare, you should absolutely not miss seeing the film in its original intended 35mm format, on the big screen. Chances are you won't have the opportunity again.